I have abandoned hope. Not to worry- I’m not despairing, and I’m not like, “giving up on life,” or anything like that. It’s just this: I’m forsaking hope, and its cousin, fear, and its nerdy cousin, obsessive planning (he wears a pocket protector, I think). You’re shaking your head. What’s wrong with hope? Don’t we want things to be better? Don’t we long for a better life, an end to suffering? Of course we do- it’s human to want to experience pleasure and avoid pain. The problem is that in clinging to hope, we’re creating more suffering. We’re avoiding our own lives in lieu of a fantasy future. I am, by nature, a worrier and a planner. When my husband and I purchased our house and I submitted our financial records to the mortgage lender, he was initially impressed by my quick ability to provide the statements to him. He soon became lost, though, as he tried to make sense of my obsessive transfers from account to account. My way of managing financial stress is to micro-manage funds. “I’ve never seen anything quite so confusing,” he said. Confusing, yes- but it sure distracted me from feeling the financial pain at the time. This was one of those great light-bulb moments for me. When I left my safe 40-hour-a-week job this year, I planned as best I could for our financial security. I rearranged finances, cut back where we could. My husband and I even got married (after 11 wonderful years of “who needs marriage” relationship) so that we could share his health insurance. I felt nervous, but glad that I had such a safe plan. I quit the job and began teaching yoga full-time. I know it is possible to live with what you think will destroy you without being destroyed. I know that hope is false, and planning is a distraction, and when I worry, I am cheating myself of all the beauty in my daily life. 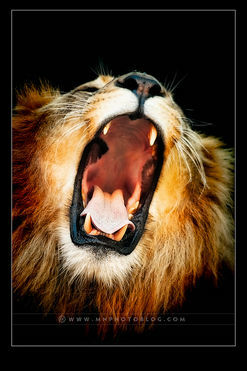 I am roaring like a lion, in this and every breath! I have hurled the pocket protector of planning into oblivion! And I am learning to be courageous in the present moment. One final reading for you. I notice in this poem, the author uses the positive word, “Allow,” rather than the negative phrase, “Abandon Hope.” Embrace that instead, if you like. *Geneen Roth is the author of Women, Food and God, which I imagined at one time was too unbearably silly for words, and now, I find, has become an important book in my life. Thank God for change. This entry was posted in Buddhism, Inspiration, Off-The-Mat, Poetry, Yoga Cures Stuff and tagged abandon hope, allow by donna faulds, allowing the present moment, buddhism lion's roar, give up hope, give up planning, give up worry, living in the present moment, the lion's roar on November 18, 2012 by laurasana. I am giving a lot of thought to your insurance advice. And I am also so, completely glad, that I left that job too. Despite the uncertainties of being self-employed, the satisfaction that comes from doing what I love is priceless. So many times, you read blogs or books about “living” your yoga practice. I always end up mumbling about how they don’t understand the anxiety that creates planners (who struggle to live in the moment) or wondering what possible stresses they could be going through. It’s nice to hear the back stories and understand that even great yoga instuctors (yes, that’s you!) struggle to live their yoga as well. Thank you, thank you, thank you for your beautiful compliment. I am grateful to you for being part of my classes and my life!